The Iggulden’s were very influential in 18th and 19th Century Deal. As well as being mayors (brothers Edward and John 10 times between them) they were land owners, involved in shipping and brewing. The brewery site appears to have been leased from the Archbishop of Canterbury as it is tithe free, in common with most of Lower Deal. 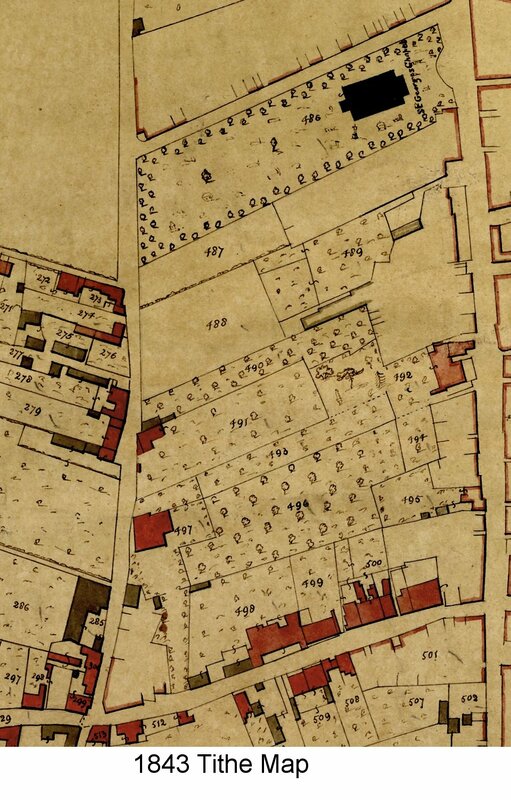 The tithe map and schedule shows the land use around the brewery site. There is a reference to Father and Son Iggulden operating the brewery but it is not known when it was established. 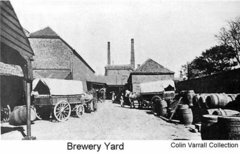 To supply their brewery they owned a large amount of arable land in Deal (over 40 Acres), 27 acres being at Crews farm and most of the rest being at The Park, Upper Deal. 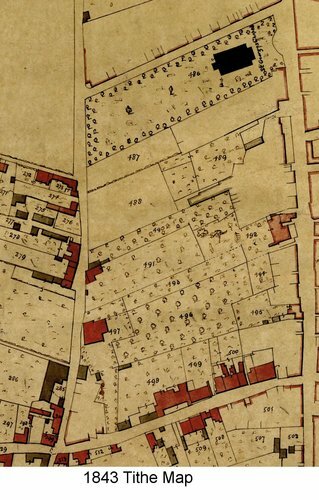 (Land bounded by Rectory Road, London Road and Mongeham Road). This was mostly arable bordered by a plantation. Edward Iggulden put the brewery up for sale in 1851. Into the documented era we have photographs showing the site in reasonable detail. There is an excellent description in the book ‘Illustrated Deal, Walmer & Sandwich’ dated 1895. There was an extensive orchard behind the brewery right through to West Street. The Rose Hotel appears in the photographs and there is evidence that it was constructed mid 1700’s but first landlady recorded in 1804 (Widow Hinds). 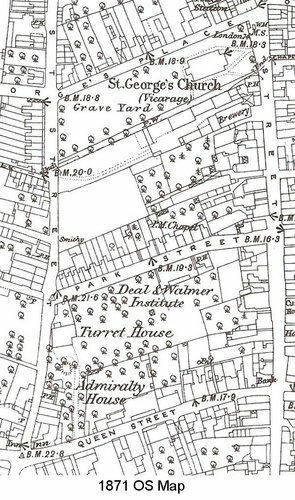 In 1901 Hills sold to Thompson & Sons Brewery who closed it and the site was bought by Steed Bayley and Arthur Wise for re-development. 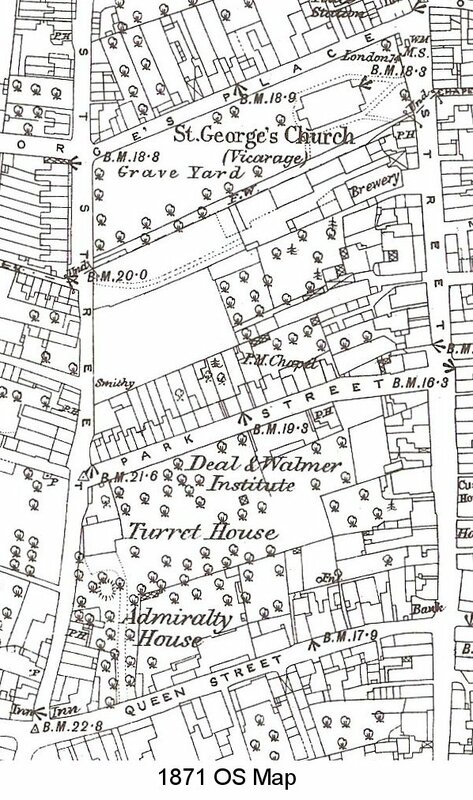 The Deal Street Directories give evidence for this with Stanhope Road first appearing in the 1906 directory with the terrace of 11 houses and the General Post Office built opposite. The Stanhope Hall opened in December 1906 and appears in the 1907 edition of the Deal street directory, built approximately in the place shown in the photograph.